With the weather improving and spring on its way, Victoria’s inhabitants are emerging from their winter dens in search of fun and exciting outdoor activities. As a member of the Western Communities, you already may be familiar with the incredible amenities the Westshore has to offer, and having a multitude of lakes, parks, and hiking/biking trails in the surrounding area, the Westshore is the ideal location for the local adventurer. Only eight kilometers from Langford, the Goldstream Provincial Park offers the ultimate experience for families, friends, and outdoor enthusiasts, and with its 388 hectares of temperate rainforest, it presents the perfect opportunity to get close to local flora and fauna. For instance, the Lower Goldstream Trail becomes particularly popular between September and December during the salmon-spawning season, and the Eagle Extravaganza follows shortly thereafter – a wonderful display of Bald Eagles who “flock to these feeding grounds to feast on high-protein Chum Salmon.” Currently, the park is hosting hundreds of Rufous hummingbirds, who have made a pit stop in Goldstream while on their migration north, and in April, the park will see an influx of birds and bees returning to the area. In addition to its seasonal events, Goldstream Provincial Park has campgrounds available for out-of-town tourists and for those who do not want to stray too far from the urban centers but would like a more rural experience. Also, there are numerous trails that inexperienced and experienced hikers can take advantage of:· Gold Mine Trail· Visitor Centre Trail· Lower Goldstream Trail· Bridge Trail· Mount Finlayson Trail· Prospector’s Trail· Arbutus Ridge Trail· Upper Goldstream TrailOn these paths, you can find amazing natural and man-made landmarks such as Niagara Falls, Miner’s Spring, Goldstream Falls, the Railway Trestle, a Gold Mine, and a number of observation platforms. 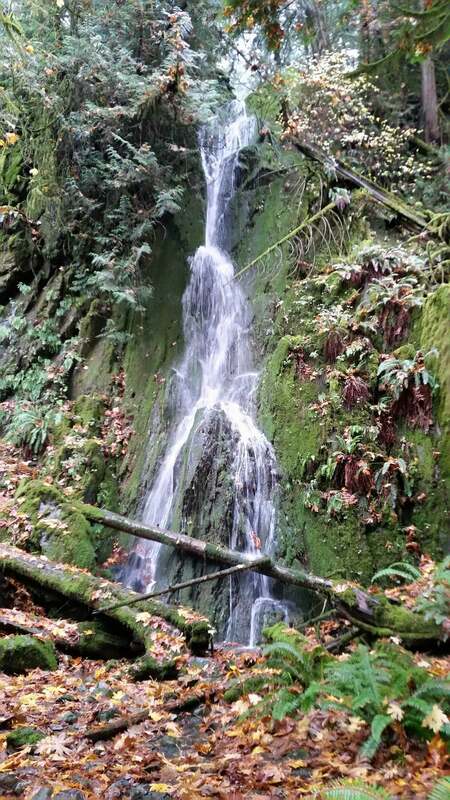 The Goldstream Provincial Park is the perfect day trip from your Westshore community and the perfect opportunity to take in and immerse yourself in Vancouver Island’s beautiful topography. For more information on what outdoor opportunities await you in the Westshore, contact Cheryl Barnes. Cheryl Barnes is your Residential Real Estate Expert on the Westshore, providing a personal approach to buyers and sellers wanting to enter the Victoria real estate market. As a Top Producer and Top RE/MAX Camosun Realtor, you can be assured that Cheryl exceeds clients’ expectations and is prepared to help you with your home ownership dreams. BC Parks advises that hikers are cautious on this trail as it can be steep, the weather can be unpredictable, and it can be unsafe to hike alone. Visit http://www.env.gov.bc.ca/bcparks/explore/parkpgs/goldstream/goldstream-map.pdf and http://www.goldstreampark.com/camping.htm for more park information and to inform yourself of the hazards.